The College Shop is located on the Penquite Campus at the rear of Briggs House. There are parking spaces reserved for Shop customers next to the shop. The College Shop will be open for Back To School uniform sales from Monday 21 January 2019. 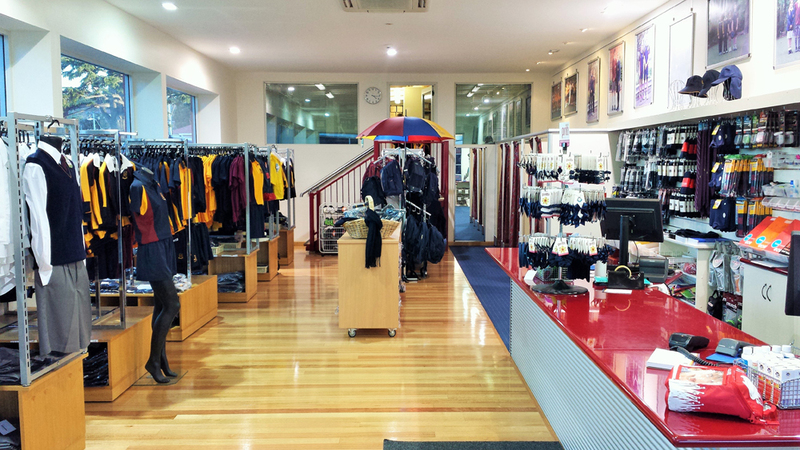 During the week of 21 January – 25 January, the College Shop is open by appointment only. From Tuesday 29 January to Friday 1 February, appointments are available in the morning, 9.00 am – 12.00pm, with the shop then open for general sales from 12.30pm – 5.00pm. Students requiring full uniform fittings, new students or families with multiple children will need to book a one-hour appointment for uniform fittings. For Early Learning appointments or if you just need a top-up please book a half hour appointment. The College is pleased to announce that it has partnered with Petrarch’s Bookshop and OfficeMax for its Back-to-School stationery requirements for 2019. All other school requirements such as uniforms, school bags, and other accessories will still be available through the College Shop. Early Learning, Prep and Year 1 – Please note that all stationery items for students in these year levels will be issued in class. Years 8 to 10 – Parents of students in Years 8 to 10 will receive an email with instructions for items required for core subjects and chosen electives. Orders placed on or before Sunday 9 December this date will be delivered free of charge before the start of Term 1, 2019. In Years 11 and 12 students are required to purchase their own text books for most subjects. Our supplier for 2019 is the Co-op Bookshop which offers many advantages for you. See the link below for details on purchasing textbooks.